Crisis Chronicles Press is ecstatic to announce the imminent publication of Chris Stroffolino's long-awaited new book, Drinking From What I Once Wore: Selected and Recent Poems. Drinking From What I Once Wore is 6x9" perfect bound, over 100 pages, and features cover art by Rachel Thoele. ISBN: 978-1-64092-970-8. 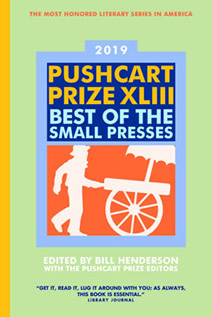 This volume features 49 works including "Cusps," "The Dart of the Eel," "First World Problems," "Variations of 21st Century Pop Songs," "2 Dramatic $onnets for the Con$umer $ociety," "Commercial Interruptions," and the Pushcart Prize nominated "Questions for Google Home." Available for $12 US from Crisis Chronicles Press, 3431 George Avenue, Parma, Ohio 44134 USA. Pre-order now and we'll send it to you in December. "Maybe all life is preparing for 'The test/ We can only pass if we waste no time/ thinking we can study for it.' If so, Chris Stroffolino's carelessly brilliant poems would be as invaluable as cliff notes. In any case they come in handy." 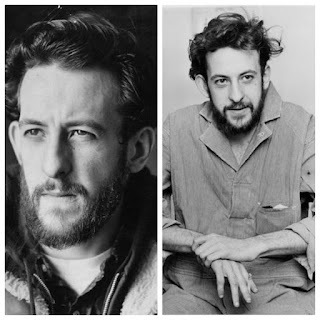 "There is no line of thought in [Stroffolino’s] poetry that can’t or doesn’t kick out a set of veins pumping blood to and from the dramatic qualities of its existence or an inverted conversion of the optimal antidote to its own fiercely depicted frailties. Chris has fought in his writing for a poetry that is intimate, musical, invested equally in Shakespeare & Joe Strummer and intensely personal without giving up the demand of rhetoric to be a necessity of passion rather than a muted counterbalance. His new book varies the tempo and carries these things through. 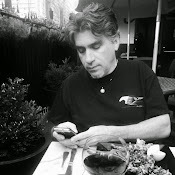 Chris Stroffolino is the author of 4 full-length books of poetry, as well as the memoir Death of a Selfish Altruist, two books of essays in poetry and culture criticism and, with Dave Rosenthal, a study guide to Shakespeare’s 12th Night. He currently lives in Oakland, California, where he has taught writing at Laney College since 2008. "William Randolph Hearst, Diving Alone, San Simeon"
"assembly line doll head roach motel"
This Thanksgiving Day, I'm honored and grateful to learn that my poem "Whend" has been nominated for a Pushcart Prize by NightBallet Press, alongside poems by Alex Gildzen, Bill & Pat Hurley, Sandra Feen, Jeanette Powers and M.J. Arcangelini. Many thanks to editor Dianne Borsenik! "Whend" was the first significant poem I wrote after my wife Geri's untimely death in 2016. 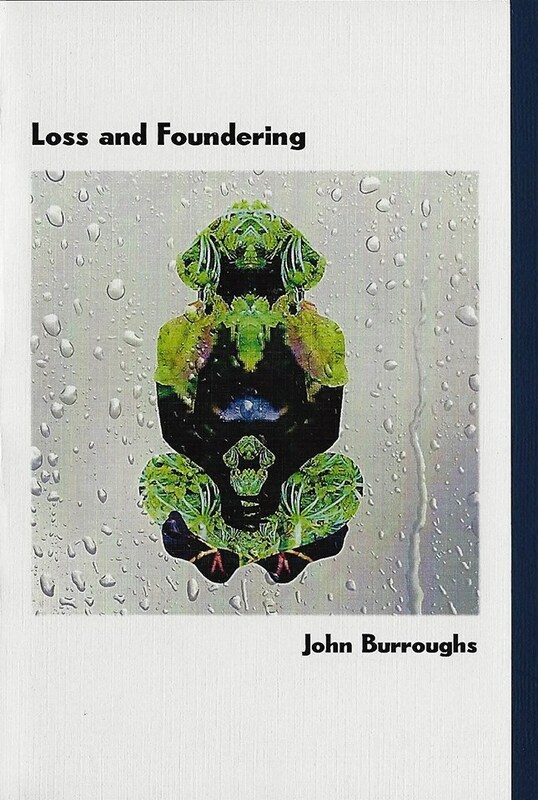 It was published in my 2018 chapbook Loss and Foundering. Read this piece by Mark S Kuhar at cleveland.com. 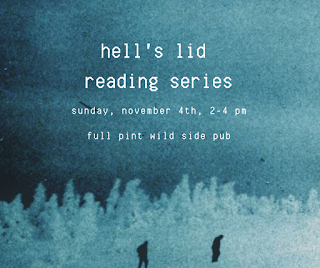 Then join us for a poetry reading at levy's grave on November 24th at noon. I look forward to talking with Ryan Sagert about poetry Tuesday 11/13 at 10 a.m. on Lorain County Community College radio. You can listen in at https://www.lcccradio.com/. Finally home after a fine three-day mini trip (Pittsburgh, PA; Richwood, WV; Pomeroy, OH). 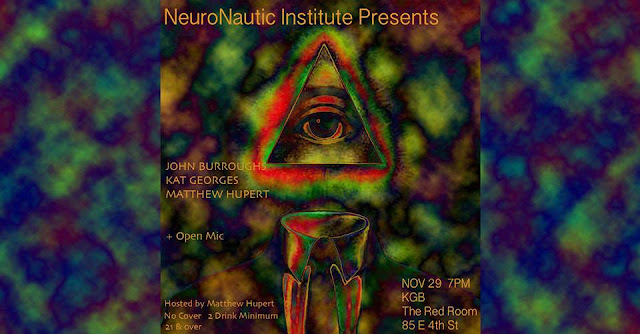 I have one more reading scheduled for this year and it's bucket list caliber - my first ever in the heart of New York City, at the KGB Bar's Red Room with Kat Georges and Matthew Hupert. So looking forward to this! Last year I drove cross country to the west coast for the first (and so far only) time and it was one of the highlights of my life. So many good memories made! One of the best was having the opportunity to read with D.R. 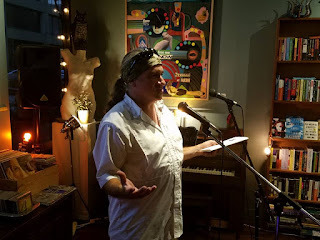 Wagner, M.J. Arcangelini and Matt Cook at the Octopus Literary Salon in Oakland, California, on July 19th. I am grateful to Paul Corman-Roberts for making it happen—as well as emceeing, snapping pics and videoing random bits of the proceedings. One clip features "Dish Work," a poem inspired by Columbia Hills Country Club, where I worked as a dishwasher from around September 1986 to January 1987. It's also where I first met Geri, who was a waitress there at the time. The second clip catches me reading the first part of my poem "From Genesis to Exodus," a tribute to Prince. "Dish Work" appears in my chapbook Water Works, first published in 2012 by recycled karma press and reissued in early 2017 as part of the Poets Haven Archive Series. 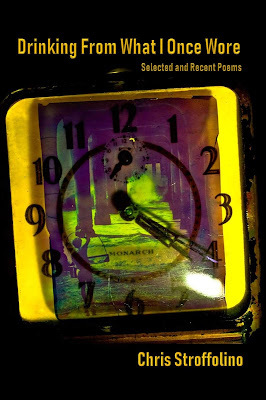 "From Genesis to Exodus" was first published in Delirious: A Poetic Celebration of Prince (2016, NightBallet Press) and now also appears in my chapbook Loss and Foundering (2018, NightBallet Press). Pittsburgh is one of my favorite places to travel for poetry, and the last time I read there was August 2016. In other words, it has been far too long. 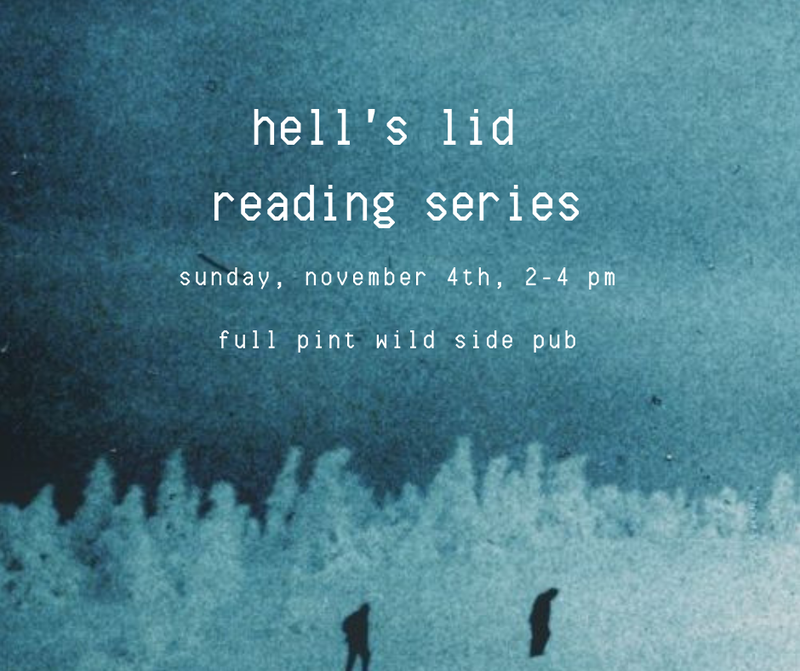 This Sunday from 2 to 4, I'll have the honor of reading with Alyssa Herron, Bob Walicki, Kara Knickerbocker, Nicole Onda Grynd, Joshua Tarquinio and Sarah Washburn Thornton for the Hell's Lid Reading Series hosted by Miss Macross at the Full Pint Wild Side Pub, 5310 Butler Street, 15201. My penultimate reading of the year!